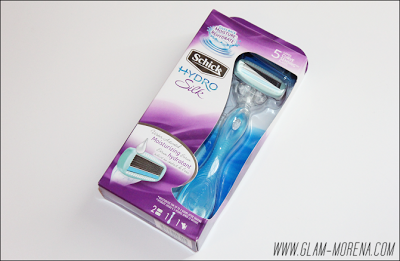 Glam Morena: Schick Hydro Silk Razor. As I get older I am starting to realize there are going to be many upgrades and downgrades that I go through. Some downgrades and upgrades are going to be small. In other situations those downgrades and upgrades are going to be big and possibly life changing. It is just a part of growing up. 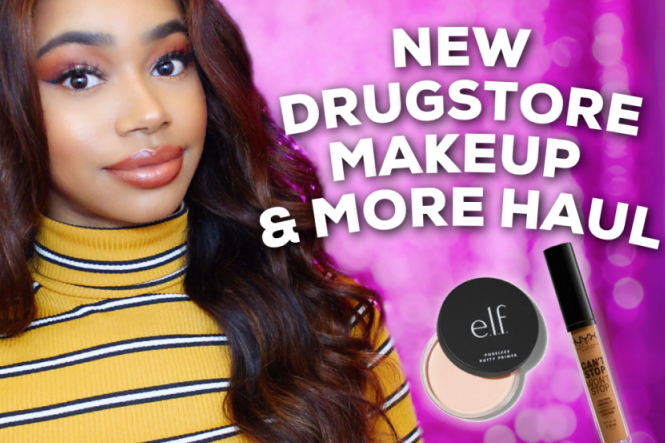 Today I am sharing some of my most recent upgrades with you. I have never been one to be picky when it comes to shaving razors. There have been so many that I have tried out that I liked. There are also so many that I have tried out that I disliked. From inexpensive ones, to ones that are the more pricey side, and whatever I can come across when I am shopping for razors. My motto pretty much is "As long as it gets the job done then I'll buy it!" I recently discovered a new razor, which is the Schick Hydro Silk® Razor. I have purchased the Schick brand in the past before, however this was my first time using this particular razor. The Schick Hydro Silk® Razor not only shaves great it also helps replace moisture to your skin that is often taken away while shaving. Schick Hydro Silk® Razor’s Water Activated Moisturizing Serum that is included on the razor provides a Better Hydration Boost than any other razor. This allows your skin to stay moisturize for up to 2 hours after shaving. Another feature I find great about this razor is that it has 5 Curve Sensing blades with unique skin guards. This smooths your skin and it helps to reduce skin irritation. The 5 Curve Sensing blades also allows you to get a close shave. Now I can have my smooth and soft legs ready for the Spring and Summer seasons! This little upgrade has encouraged me to make another upgrade in my life. I have officially upgraded my lip colors! There was a time that I did not wear any bold or bright colors on my lips. 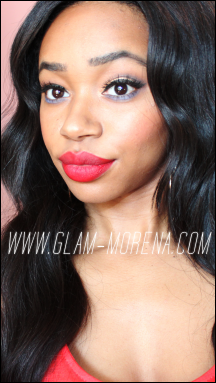 It is amazing how just by simply changing your lip color that you can enhance your overall look. Announcing Razorvention Revamp™, brought to you by Schick Hydro Silk® razor. Upgrade your shave with Schick Hydro Silk® razor and we'll give you a chance to win fabulous summer prizes so you can upgrade other things in your life too. Enter the Schick Hydro Silk® Razorvention Revamp™ promotion for a chance to upgrade more than just your razor every single day through the end of June, with fabulous summer prizes in beauty, fashion, fitness and home decor. We're also giving you a chance to win amazing experiences – from a luxurious spa retreat to a $3000 shopping spree – each time you enter to win one of our daily upgrades. 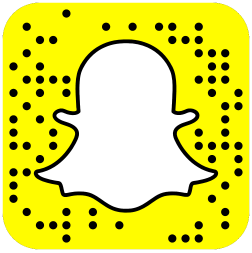 28 daily prizes in total – everything from a designer beach tote to a glass chandelier to yoga gear. Now that I have shared my upgrades it's your chance to treat yourself to an upgrade! Take a tour of the Schick Hydro Silk® luxury suite and submit your photos to the Razorvention Revamp™ contest/sweepstakes. Be sure to go here to learn more and submit your entries. I definitely want to try this razor, great review. The review of the razor is really helpful. 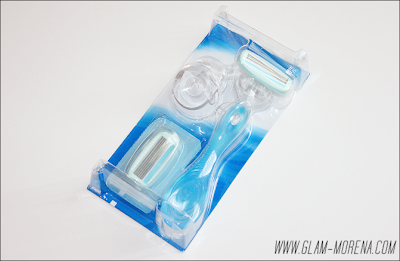 I have tried the Venus razors and they are amazing. Will give that one a try.